This tour is designed specifically for those guests who are first time visitors to Ohau…or guests who have not visited this Island for some time…we will meet in the lobby of the Kahala Resort at 8 am or at 12 noon…bring your car keys..as we will caravan around the Island stopping at many of my favorite places…We will showcase at least 4 different beaches..all with different shades of beautiful blue Pacific Ocean..we will discuss the History of these Islands..local flora and fauna…visit at least one botanical garden. Costs are $75 dollars per person. Join Stephen Copeland and the guides of Hawaii Guides and Hiking, daily, as they explore the lush wilderness areas of the Windward and the North Shore areas of the island…Treat yourself to a trek through the breathtaking Ko’olau Mountain Range, where we will gaze upon Papaya and Mango, and Avocado trees; along the way we will cool ourselves off from one of the most beautiful waterfalls in the area; we will collect and crush the Candlenut; and we will search for the illusive wallaby; and on any given day we might search for buried treasure using the Geocache system…All Hikes come with a swim at a secret beach…bring your car keys as we caravan to the hike spot. 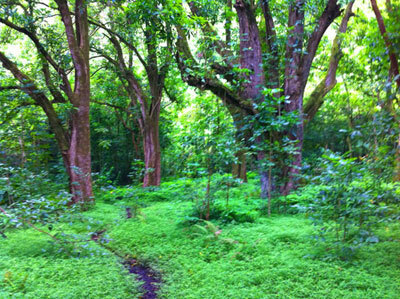 For individuals joining the daily 11:30 hike leaving from the lobby of the Kahala, the price is $75 dollars per person. For individuals or groups wanting to hike privately at any other time, the price $105 dollars per person. Picnic lunches are available for $20 dollars per person. Horses are provided for all ages. We will ride along the beautiful North Shore of Hawaii, where we will experience vistas of the ocean that will leave a lasting impression to all of your senses; at the end of the ride we will have a swim on one of the most beautiful beaches in the world…Plan a half day for this adventure…Costs are $165.00 per person Private Polo lessons also available on this adventure. Tour leaves from the lobby of the Kahala Resort. Whether it is a Helicopter from Blue Hawaiian Helicopters (Video), or a fixed-wing Glider, offered by Honolulu Soaring (Video), the views of the Island from the air are a once-in-a-lifetime experience. After the flight we will trek along the North Shore coast to a secluded spot where we will swim…Advanced reservations for this Special Activity can be made through Hawaii Guides and Hiking 808-748-9688 or hawaiiguidesandhiking@msn.com Tour leaves from the lobby of the Kahala Resort. 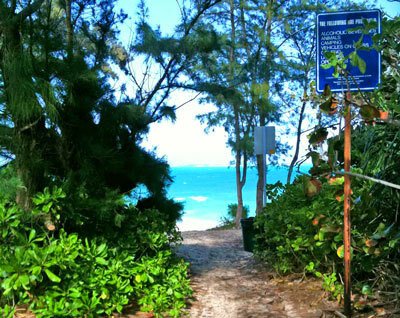 Throughout the Island of Oahu there are 1300 buried treasures known as Geocaches …We will pick an area of the Island that is of interest to you, the guest, and we will leave the hotel, GPS in hand in search of the treasure…after we find it we will swim at a very special beach. Costs for this are $75.00 dollars per person. Children under 12 go free. Tour leaves from the lobby of the Kahala Resort. 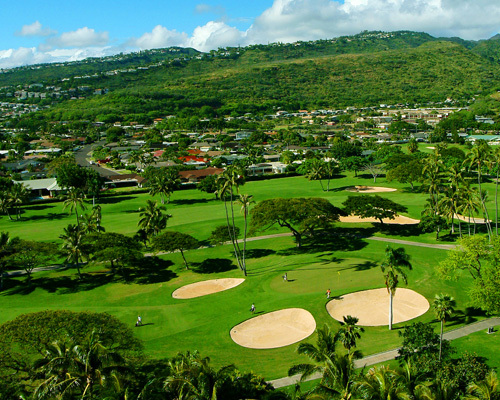 It has often been said that the Kahala Resort on Oahu is the finest Golf Resort on the Island without an actual course…the reason being, the Resort’s proximity to 7 world class courses, within 30 minutes of the Hotel. If you are looking for peaceful, serene golf with no one behind or in front of you, with breathtaking views of Honolulu and Waikiki, then Royal Kunia is a must…If golfing in the jungle with narrow fairways and challenging greens is appealing to you, then let us point you to Ko’olau on the windward side…If Island greens and huge elevations are your cup of tea…Luana Hills should definitely be played during your visit…If you need information or directions to any of these courses or knowledge on where to hit the ball on any hole, on any one of these incredible courses, or if you need a golf buddy or golf buddy couple to play with, contact our resident golfer Stephen Copeland, the owner of Hawaii Guides and Hiking and 40 year resident of beautiful Pebble Beach and Hawaii..